Down an unassuming street in Malden behind the Malden Court House is the home of the, some say contested, author of a work that is both inspiring and divisive. Even beyond the nature of the work is the controversy over its origins. Who wrote it and what does it mean? These are questions have been pondered since the words were published in 1892. The man believed to be the author of “I Pledge Allegiance to the Flag” is James Bailey Upham, who died in 1905 and is buried here in Malden. 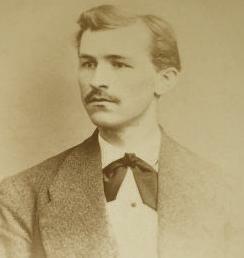 Upham, who was born in 1845, lived on Lincoln Street in Malden and was an active member of the First Baptist Church. Most scholars attribute the Pledge to minister Francis Bellamy. 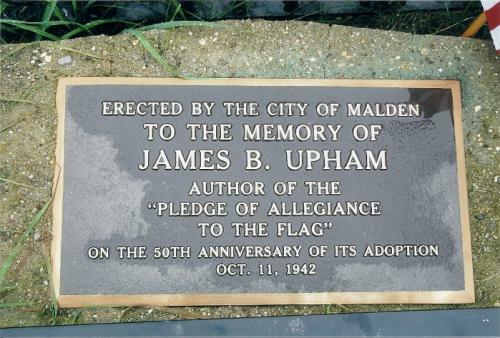 In Malden, however, there was no doubt that the author of the pledge was Upham. It’s been a point of contention over the decades. What is uncontested is this: The pledge — in an early form — was first published in the magazine Youth Companion on Sept. 8, 1892. Youth Companion was, in the words of the early publishers Nathanial Willis and Ada Rand, aimed at encouraging “virtue and piety, and … warn against the ways of transgression.” Both Upham and Francis Bellamy, a minister, then worked for the magazine. In 1888, one of the departments in the magazine launched the School Flag Movement. This was a campaign to sell flags to public schools. In the guise of patriotism, a genius marketing boom was born. According to Smithsonian Magazine, Youth Companion came up with a new oath of patriotism or loyalty to recite to the Stars and Strips. This pledge would inspire schools to buy more flags, particularly if the pledge became a new daily ritual. The magazine also wanted to tie the pledge into the 400th Anniversary of Columbus’s arrival in the New World on Columbus Day, October 21, 1892. The original text was: I pledge allegiance to my Flag and the Republic for which it stands: one nation indivisible, with liberty and justice for all. Sources, such as Find a Grave, said Youth Companion company policy forbid employees to take individual credit for efforts performed there; eventually all credit for writing the pledge went to Francis Bellamy. “It was always accepted that Upham was the promoter of the project and that Bellamy was the actual author of the original draft,” the website claims. Several years after Upham’s death, his family found a copy of the original draft for the pledge in Upham’s hand, and fought to have him recognized as the author. Forty years later, they succeeded, at least in Malden. 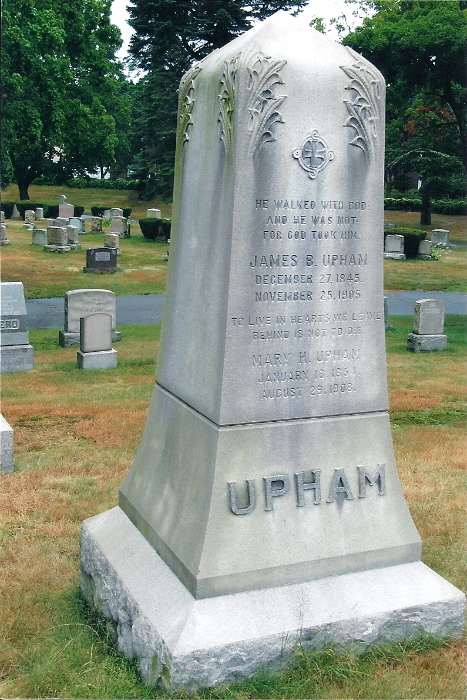 The grave of James B. Upham is located in Malden’s Forestdale cemetery. 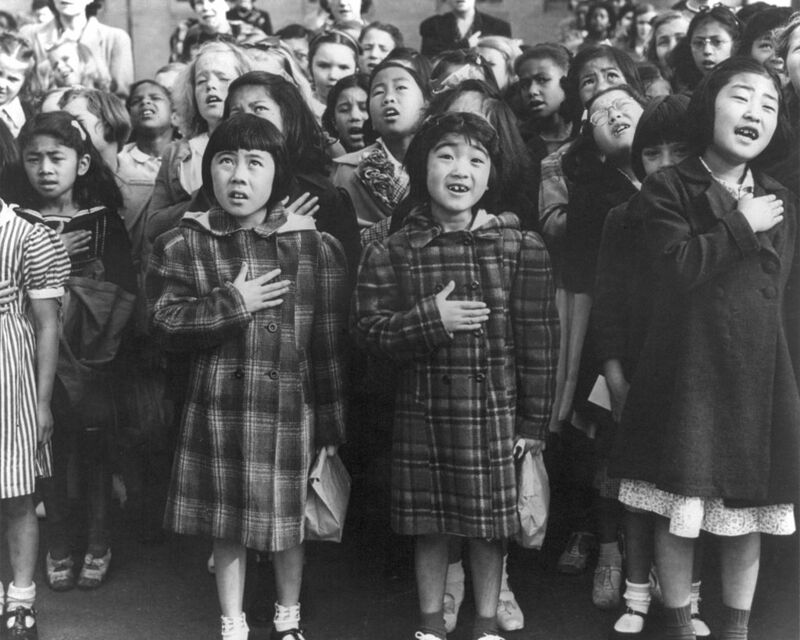 The Pledge of Allegiance was, as the Malden Evening News reported that day, on the “lips of every real American.” The expression, “real American” was a product of the time as well as an honor to Upham; in March of 1942 , the United States established a policy for internment of Japanese-Americans during World War II, out of concerns that those with Japanese ancestry would support Japan during the war. Even if there was dispute over the pledge’s authorship, there was no disputing its popularity. Soon after it was published, states began passing legislation requiring it be recited in public schools before class. In 1898, New York became the first state to legislate the requirement, passing its statute the day after the U.S. declaration of war against Spain. By 1917, when America entered World War I, pledging allegiance to the flag became a daily, legislated practice of public education in most states. Changes to the wording of the pledge have been made through the years, but perhaps the most controversial came in 1954 during the Cold War and fears about the spread of Communism when President Eisenhower requested the words “under God” be added to the pledge. Even before “under God” was added, the U.S. Supreme Court heard the case Minersville School District vs. Gobitis which examined whether students could be exempt from reciting the pledge for religious reasons. Jehovah’s Witnesses believe saying the pledge is being unfaithfulness to God in terms of devotion. The judges ruled 8 to 1 that students could be compelled to recite the pledge. In his lone dissent, judge Harlan Stone wrote: “The guarantees of civil liberty are but guarantees of freedom of the human mind and spirit and of reasonable freedom and opportunity to express them…The very essence of the liberty which they guarantee is the freedom of the individual from compulsion as to what he shall think and what he shall say.” The reaction against Jehovah’s Witnesses was swift; hundreds were attacked and mobs burned down their meeting places. This backlash against the Jehovah’s Witnesses led to a whole new ruling in another Supreme Court case in 1943. The Minersville case implied obedience to your country superseded obedience to your religion. But in West Virginia State Board of Education vs. Barnette, the judges ruled that free speech protected by the U.S. Constitution would override obedience to one’s country. Thus, the First Amendment guaranteed the right to nonparticipation in flag salutes. The phrase “under God” has been challenged in court a number of times, beginning in 2002. All challenges have failed. 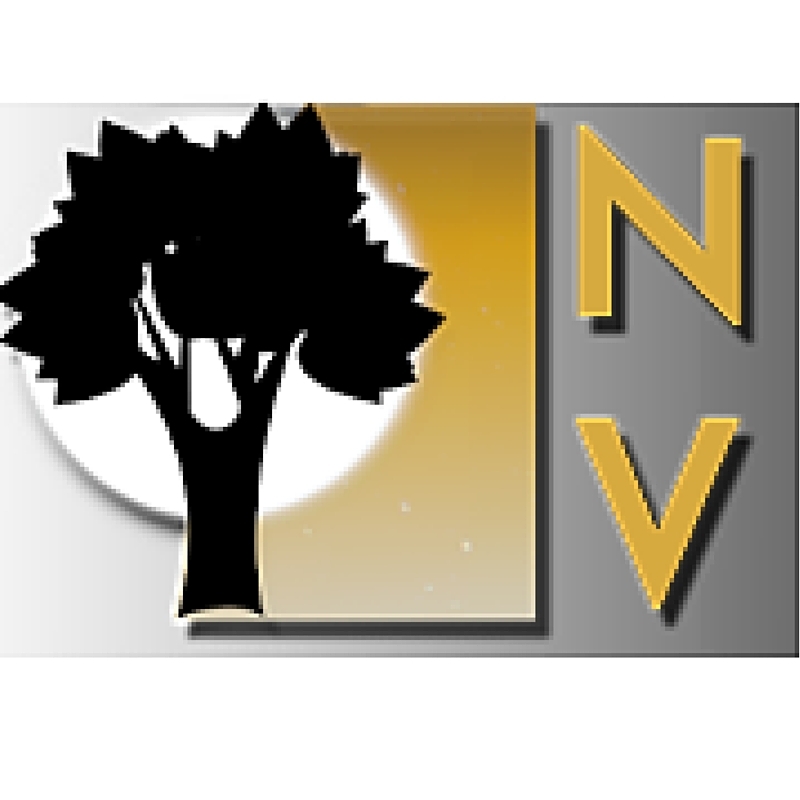 Elk Grove Unified School District vs. Newdow case was brought to court with argument that the phrase “under God” was an unconstitutional endorsement of monotheism. 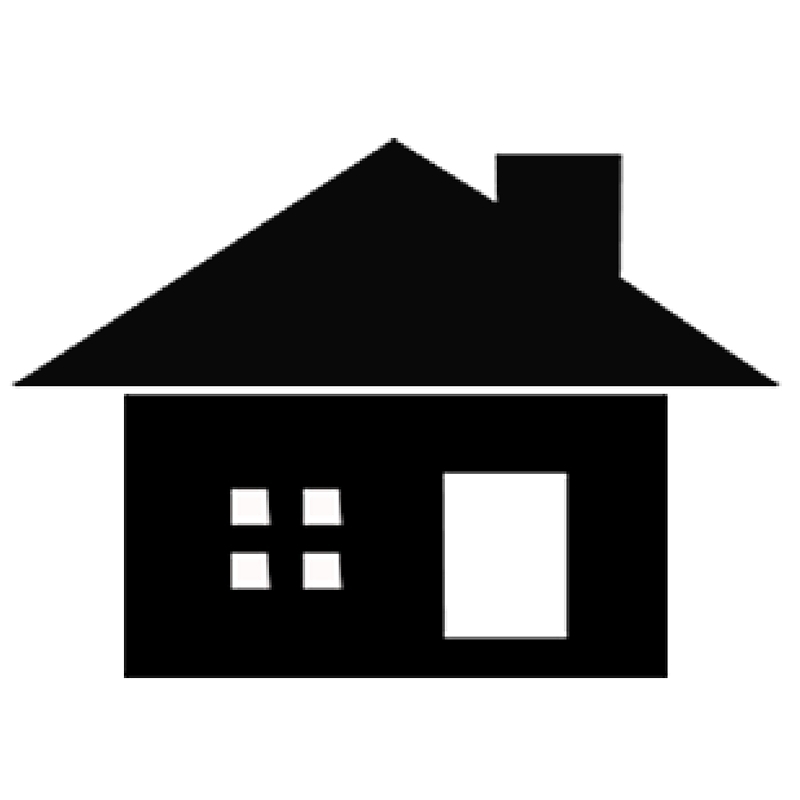 The case was undecided on the grounds that the case was for a minor by the non-custodial parent. When Newdow lost standing in the case, the court was unable to argue the constitutional question. Chief Justice William Renquist, Justice Sandra Day O’Connor and Justice Clarence Thomas did concur that requiring teachers to lead the Pledge is constitutional. The most recent case challenging the phrase “under God” was brought in 2015 to the New Jersey Superior Court. The case was thrown out. In Massachusetts a case similar to the Elk Grove case was brought before the Supreme Judicial Court when the American Humanist Association argued that reciting “under God” violates the Massachusetts Equal Rights Amendment by forcing atheists to recite a pledge with God in it. Massachusetts general law title XII under chapter 71 section 69 requires both that a “flag shall be displayed…..where the opening exercises on each school day are held” and that “all public schools shall lead the class in a group recitation of the “Pledge of Allegiance to the Flag.” The Humanist Association lost this case; the court ruled that the pledge was voluntary and a patriotic exercise, not a religious one. No matter who gets the credit for writing the pledge, it can be a touchstone for both dissent and patriotism. For Malden, the battle is over and James Bailey Upham won a long time ago. His grave will continue to be honored here in Malden. Residents are invited to join the City of Malden and the Malden Historical Society in celebrating the 125th Anniversary of the Pledge of Allegiance and its originator, Malden’s own James Bailey Upham. This special ceremony will be held October 11 from 4:30 to 5:30 p.m. at Upham’s gravesite at Forestdale Cemetery. The service will include recitation of the original Youth’s Companion Pledge of Allegiance, as well as today’s modern version. The inscription next to the marker of Upham’s grave at Forestdale cemetery. Jennifer McClain is a long time resident of Malden but a new writer to Malden’s Neighborhood View. She has previously written for technical publications like Advance Healthcare Network for Laboratory in her professional life as a Laboratory Manager and looks forward to writing more non-technical pieces for Neighborhood View. Who knew. Interesting piece of history right in my backyard..Thanks, I really enjoyed the read!